We're halfway there, folks. And, for me, the prep for CMON Expo is ramping up. Tomorrow is set-up, and then the show proper begins on Friday morning, bright and early (ok, not as early as I'm usually up, which is about 4am, but still, pretty early). If we're gonna make it through the show, we should nosh on some bite-sized gaming stories. 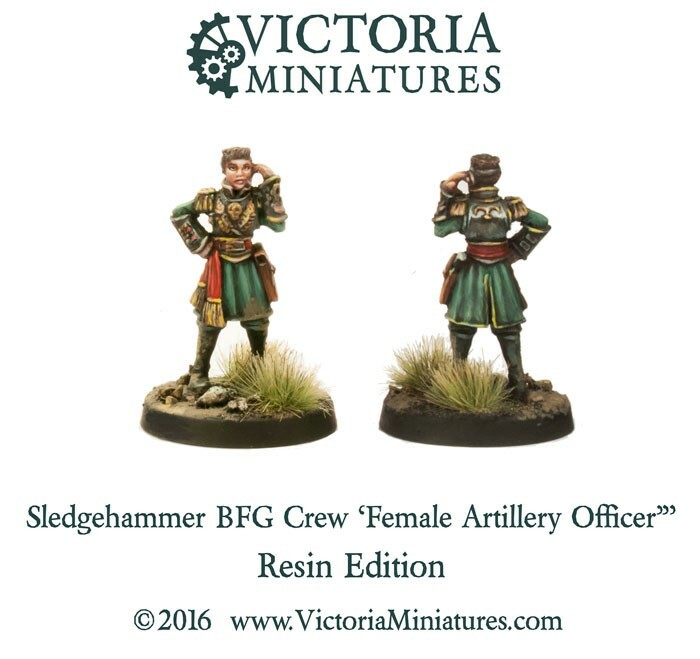 On the platter today we have: New Releases Available From Dark Sword Miniatures, Presidemon of Destruction Up On Kickstarter, and Victoria Miniatures Releases New Winter Female Officer Sprue. Well, the blustery weather from yesterday is gone. Now it's just cold. Hopefully the storm didn't hit you all too bad. I've got various friends up north that are dealing with the aftermath, but it's all not too terribly bad stuff. Though I doubt many are going to be heading to the LGS. Well, they can still stay in and game. And while gaming, they can snack on these bite-sized gaming stories. 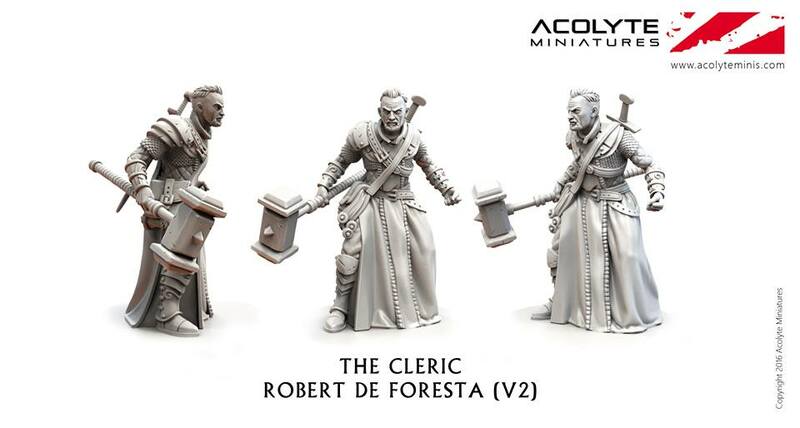 Today on the platter we have: New Flying Stands Available From Warlord Games, Acolyte Miniatures Previews New Cleric Robert de Foresta Mini, New Kill Team Special Weapons Packs Available From Victoria Miniatures, Tabletop-Art Previews Heart-Blood Sucking Vampire, and Brigade Models Release New British Aeronef. This week feels like it's going by quickly. I was waking up this morning and went, "whoah... it's already Wednesday." Seems those podcasts are helping. Either that, or it's because I'm pretty busy over here. Lots going on behind the scenes. My screen's pretty full of stuff, to be honest. And if I'm going to get through all of it, I should power up on some bite-sized gaming stories. 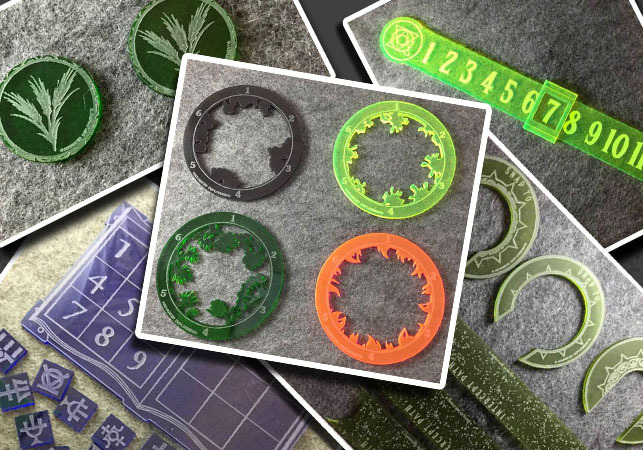 Today on the platter we have: LARC 32mm Resin VTOL up on Kickstarter, Matilda Tanks Available to Pre-Order From Victoria Miniatures, New Legionary Banners Available from Kromlech, Final Days For Impact! 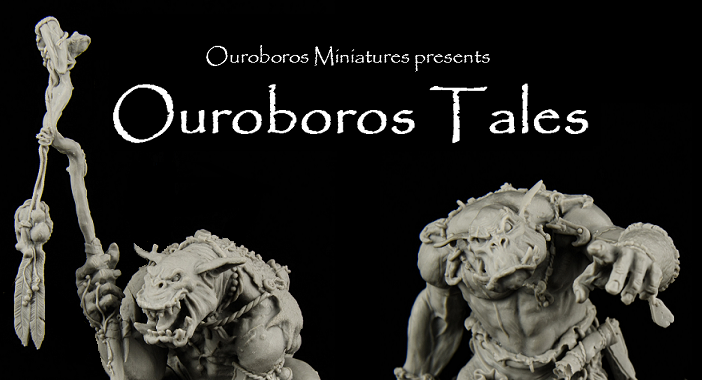 Miniatures Elf Fantasy Football Teams Kickstarter, and Ratgard Previews Leader Ratss Battle Tank. Man, what a weird week. Sunday was the last day of Expo. Monday was spent partially at the repair shop for my car, and then finding out my bathtub was leaking. The rest of the week has been working from home, waiting for repairmen, dealing with paint and fiberglass fumes, and now I'm taking some time between stories to do some deep cleaning around this place. I'm more-than-ready for the next weekend. To make sure I have enough energy to get there, let's nosh on some bite-sized gaming stories. Today on the platter we have: Brigade Models Releases New 15mm Terminator and Squadron Commander Fighters, Acheson Creations Release Indian Rhino, New Blood Drops Wound Markers Available From Kromlech, Z-Man Games Updates Components for Ricochet Robots, Victoria Miniatures Resin BFG Sledgehammer Crew and female Officer Now Shipping, and Brigade Models Release New EuroFed Spaceships. The final week of 2016 continues on. I know a lot of people are enjoying a bit of a break here at the end of the year. Many game companies are taking a little bit of time off. But that's not to say we don't have a good bit of bite-sized stories to snack on. 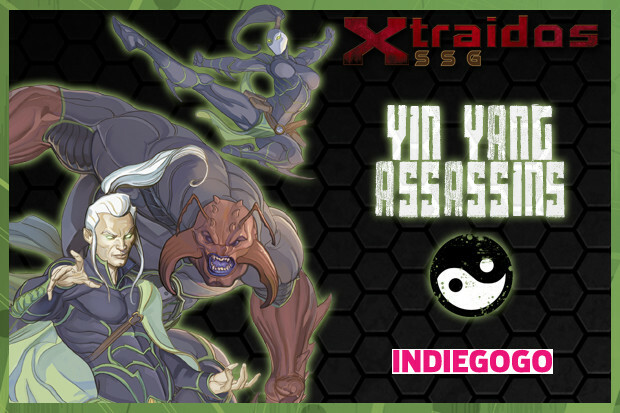 Today we have: Tactical folding kit for board RPGs on Indiegogo, Victoria Miniatures Previews 2017 Releases, Nightmare Forest: Alien Invasion Coming to Kickstarter, Oddzial Osmy’s 3mm December Releases Arrive at PicoArmor, Advanced Deployment After Christmas Sale, New Battle Rulers Available from Kromlech, and Tercio Creativo Christmas Offer Going On Now. It's the last day of November. We're 11/12s of the way through the year. We just might make it after all. Actually, I'm looking forward to this weekend. It should be a good time, as they generally are. I mean, weekend, right!? But, before we get there, we've got some more days to get through. To help, we should power up on some bite-sized gaming stories. 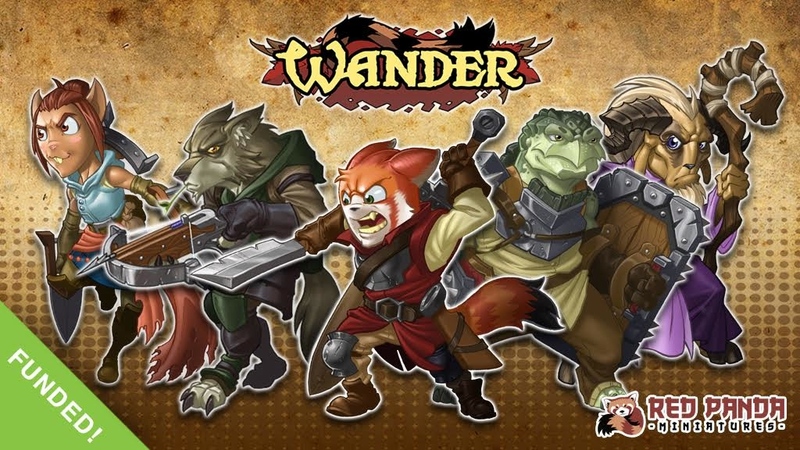 Today we have: Nomad Games adds Wizards and Tricksters to Steam Early Access of Smash Up!, Introducing Boxwood Genius Dice, Digital Edition of Colt Express Now Available, New Releases Available to Order From Victoria Miniatures, WarSeer Forum Relaunches Tomorrow, New Chaos Templates From Pyrkol, Old World Leather Gaming Mats for RPG Metal Dice Rolling Up On Kickstarter, Fantasy Football teams available at Flatminis as 2D plastic miniatures, New Release: Kromlech Battle Rulers, New Statuesque Fine & Pulp Scale Female Heads - Bald on sale, Special Artizan Service Miniatures Presents: Contractor On Kickstarter, Yet More Victoria Miniatures Releases, New Release: Kromlech Wound Markers, and Ouroboros Tales 54mm Fantasy Miniatures Up On Kickstarter. Not sure why, but this week's been a time enigma. I woke up this morning going, "wow, already Wednesday!" But since I've been here at the office, it's been the exact opposite. "How is it only 10am? I feel like I've been here forever!" What might help is noshing on some bite-sized gaming stories. 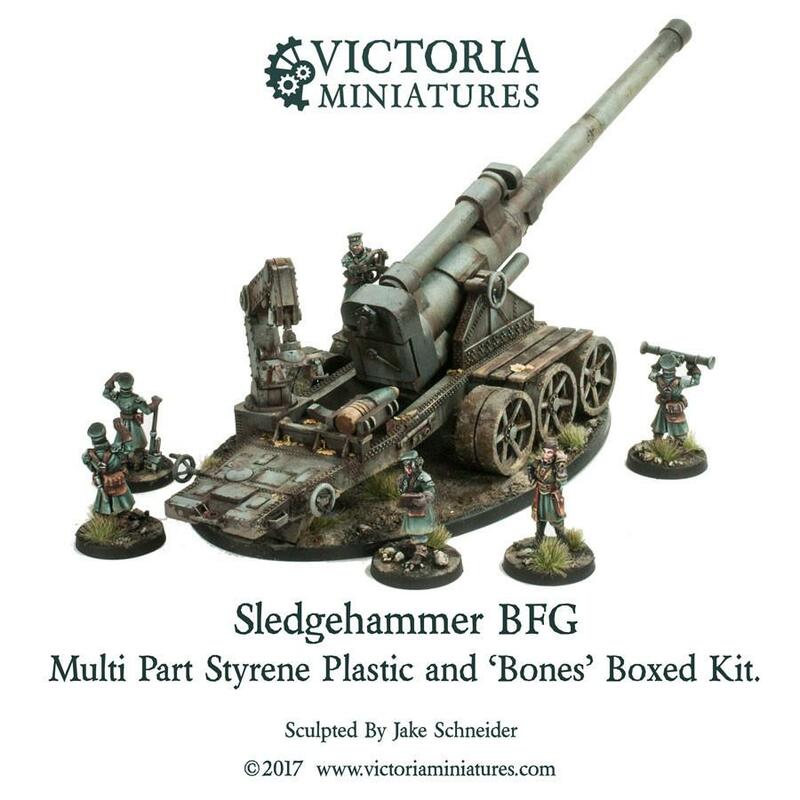 Today in the platter we have: Brigade Models New Release Update, New Ammunition Chain Sets From Tabletop-Art, Victoria Miniatures Female Victorian Guard Now Available, Motherland Tokens now available from Advanced Deployment, Dek-Den: Deck Building Game Assistant On Kickstarter, Aenor Miniatures First Releases Now Available, Terrible Kids Stuff releases Goblin Shaman, Kromlech New Release: Legionary Heavy Thunder Gun with Heavy Flamer, Khurasan releases Tah-sig (non-humanoid alien) range, Ulisses Spiele GmbH To Take Over Publishing Fading Suns RPG, and 25x50mm flat bases Now available From Tabletop-Art. Wednesday already? This week sure seems to be moving along. That's very much not a complaint, mind you. I've got board game day coming up this Saturday. 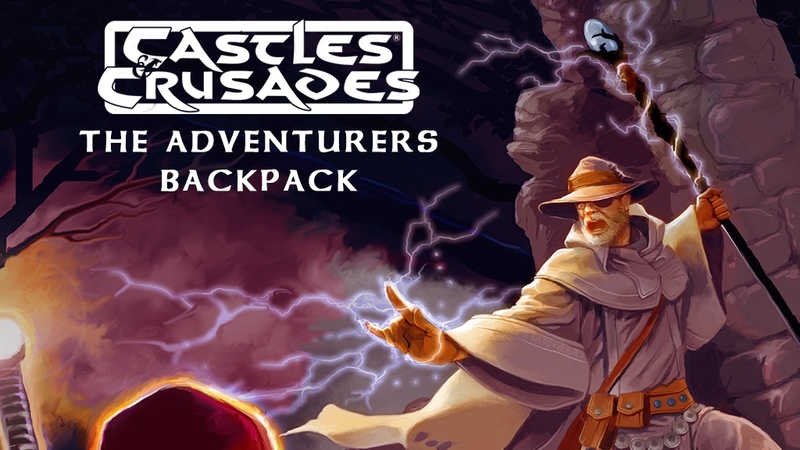 We're also going to be starting our new D&D game. So I'm very much ready for it to be Saturday. But if I want to keep up this pace, I'd better refuel on some bite-sized gaming stories. 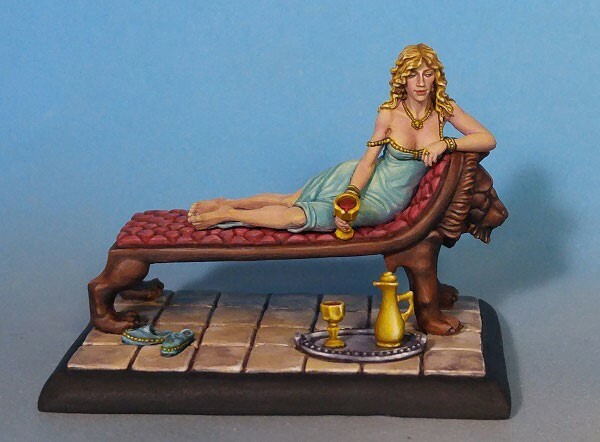 Today on the platter we have: New female Torsos and First BFG Sledgehammer Pics From Victoria Miniatures, Suede Dice Bags Up On Kickstarter, Purgatory Miniatures Up On Kickstarter, Impact! Miniatures Running Chibi Knights of the Dinner Table Kickstarter, Legionary APC Turret Lascannon With Twin Plasma Gun Available From Kromlech, Ruins of Sanctuary 25mm Bases Now Available From Tabletop-Art, Minis Production Company Up On Kickstarter, Prism: Day & Dusk Playing Cards Up On Kickstarter, HSD Anthro Sci-Fi Miniatures Now Available, Flatminis releases first monsters in their 2D miniatures range, Two More APC Turrets Available From Kromlech, and The Army Painter's 9th Anniversary Sale Happening Now. Well, it's been a bit of a short week here in the office, having only come in Wed-Fri. Though, with having just a little time off from Gen Con, it felt much longer. I'm looking forward to a weekend of doing probably not all that much at all. Just some time to decompress a bit. Should be nice. Lets me put together some of the figures I got at the show. To do that, I'll need energy. Energy in the form of bite-sized gaming stories. On today's platter we have: Forest Goblins multi-part plastics is Shieldwolf Miniatures Coming To Kickstarter, Xtraidos Crowdfunding Campaign Launched, TinMan's 35% Off Back In Business Sale Ends Soon, Oddzial Osmy’s 3mm August Releases Arrive at PicoArmor, Victoria Miniatures Female Greatcoat Legs and BFG Ammo Crates Now Available, and New Undead Orcs From Scotia Grendel. The work week marches on (as Glenn Miller - American Patrol plays on Pandora). We're halfway there, beautiful watchers. We've made it to Wednesday. Let's keep on keepin' on and make our way to the rest of the week. However, a quick bite would be good. Oh, look, some bite-sized gaming stories for you. How convenient. 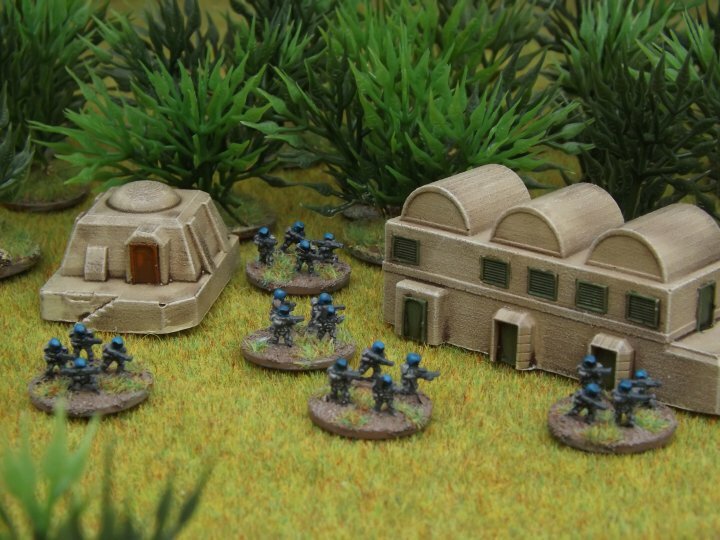 Today's installment of Snippets we have: Brigade Models Release New 6mm Armoured Infantry, Cannon Fodder WW2 Stickers Now Available, New ATER miniatures are here, New Weapons and Accessories Available from Victoria Miniatures, DeepWars - Blood Reef Kickstarter coming soon, and New Bases Available From Tabletop-Art. Congratulations for surviving another work week. The entire weekend looms before us, full of possibilities. With any luck, you've got some gaming in mind. I'll be taking photos of a bunch of my figures, preparing to sell them off, as I need to make room for some other stuff coming in. Hey, if I've not played a game for ~5 years, and don't really plan on getting back into it, it's probably time to let someone else enjoy it. Anyway, that's as may be. We've got another collection of bite-sized stories for you. 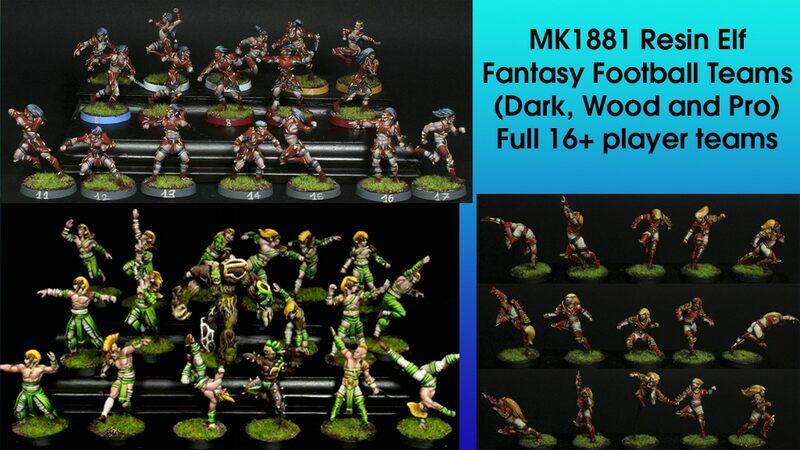 They include: New supplement for By Fire and Sword Announced, Victoria Miniatures Posts September Releases, Ratgard: Preview of the MLRS-Badger, Darkmoor RPG Coming To Kickstarter Next Week, 15mm Caesar's army - Marian Roman 105 BC - 25 BC On Indiegogo, Steve Barber Models New Webshop Opens, Carbon Fiber Playing Card Case by Essential Carbon On Kickstarter, Clear for Takeoff Coming to Kickstarter Soon, Looking For Group Minis Now Available, and Fantasy Flight Games to Release Colored Flight Stands and Bases for X-Wing. 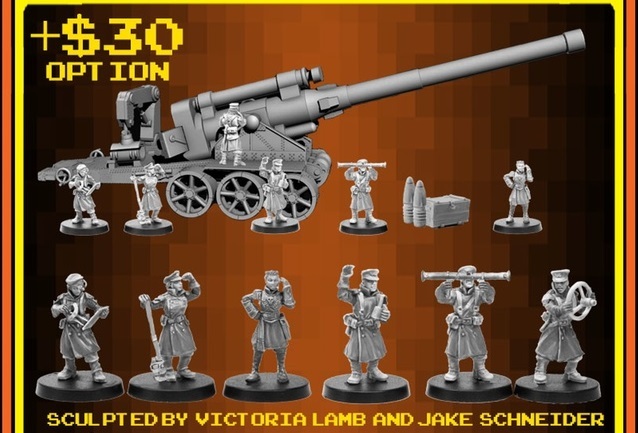 Victoria Miniatures has some news for people interested in getting some of the Limited Edition models they've had at Adepticon the past few years. Tomorrow (the 14th), they'll put up a few of their 2013, 2014, and 2015 figures in their webshop. 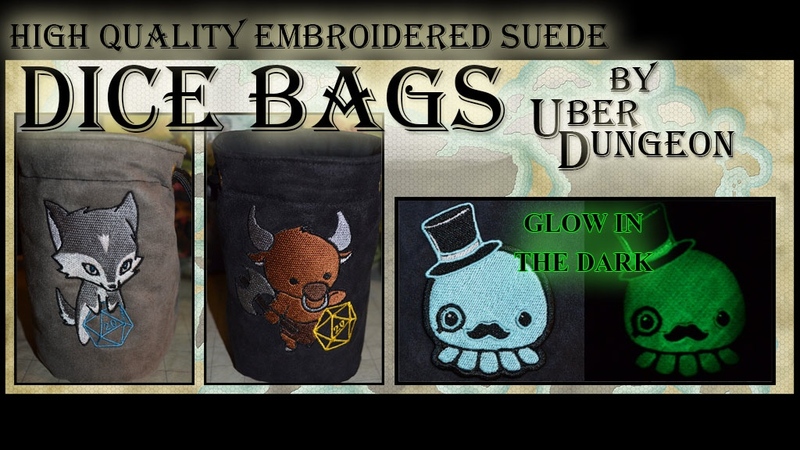 There's only a few of each of these that will be available. So if you want one, you'd better be ready to jump in on it. A list of the time they'll be available in various places is below the cut (because of time zones, obviously). There's also 4 new releases avialble. Arms, legs, shoulder pads, and heads are amongst the new offerings. 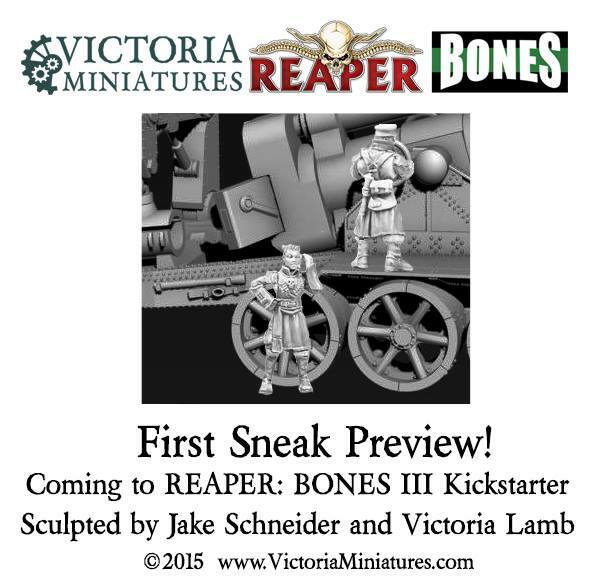 Victoria Miniatures is showing off the Limited Edition mini that will be available at Adepticon next month. Not able to make it to the show? 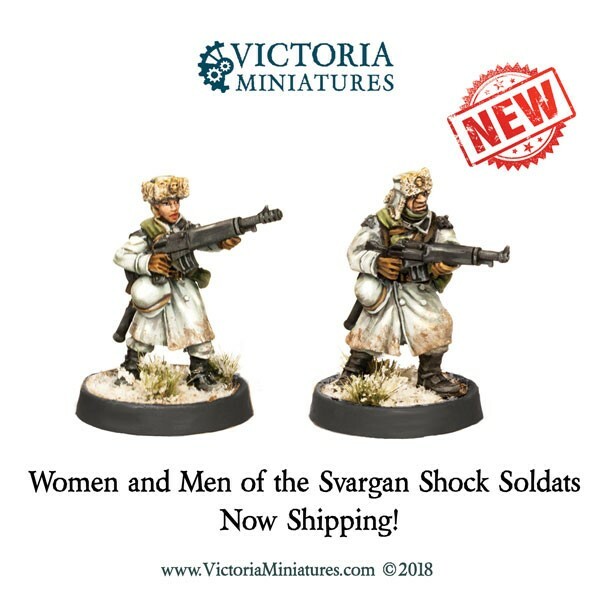 There will be 100 available on the Victoria Miniatures website as well. So if you want one, you'd better be prepared.